Do I Have a Portfolio Where All Galleries are Shown? By default, all online galleries are set to NOT be visible on your Portfolio. You can make a gallery visible in your Gallery Settings on the “General” tab. To visit your General tab, open your Collection and then click on “Galleries”. In the popup, click “Edit” next to the Gallery you’re working on. 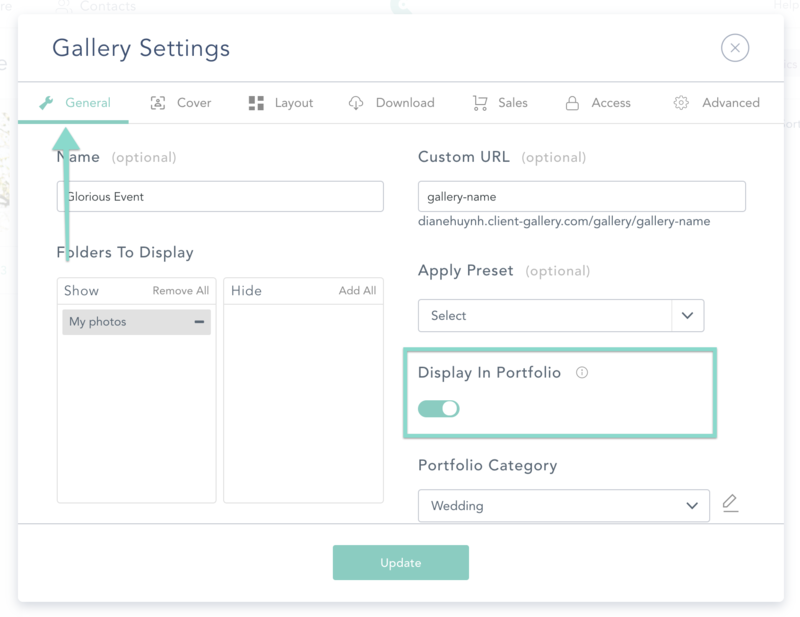 To change that status to visible, click on the “General” tab in your Gallery settings and make sure to activate the toggle button on “Display On Portfolio"
Your gallery should now be publicly visible on your Portfolio! 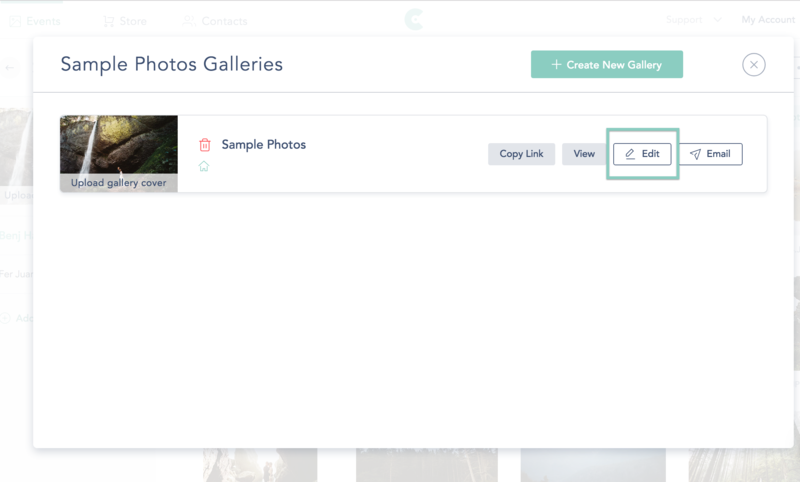 Tip: Your Portfolio is a great way to have potential clients view your work, or for you to have access to your gallery links when you're on the go! How Do I Change My Custom Domain?